Deals you wont want to miss - Start the month with some savings! 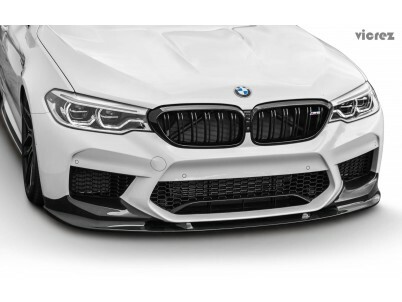 Why Everyone chooses Vicrez Body kits? Checkout our durability test video showcasing why everyone chooses Vicrez Body Kits. A semi truck runs over Vicrez Nissan 370z 2009-2018 V3R Style Polyurethane Front Bumper vz100656. Here at Vicrez.com, we are so confident about our products that we offer Free Shipping, Easy Returns, and Low Price Guarantee. In the unlike case that you're not 100% satisfied with our product, we will cover the shipping cost to return it back to us for a full refund. Enjoy this clip showcasing the beauty of our Vicrez Rear Diffuser for 2014-2019 Chevrolet Corvette C7 in a cinematography form. Vicrez.com is the industry leader of aftermarket polyurethane aerodynamic body kit parts. We ensure that all Body Kits & Auto Body Parts are made of the highest quality of polyurethane, ABS, and carbon fiber. We provide worldwide distribution throughout the Americas, Europe, Asia, and the Middle East. Vicrez is dedicated in providing quality, value, and exceptional customer service, always. On a budget? Not a problem as we carry tons of high quality, yet cheap body kit parts and affordable modifications to meet everyone's needs. Oh, and the best part about shopping here at Vicrez is that we guarantee 100% customer satisfaction.